Ian Dalgliesh | all galleries >> Galleries >> Lest we forget > West Mersea,The "Two sugars" cafe. 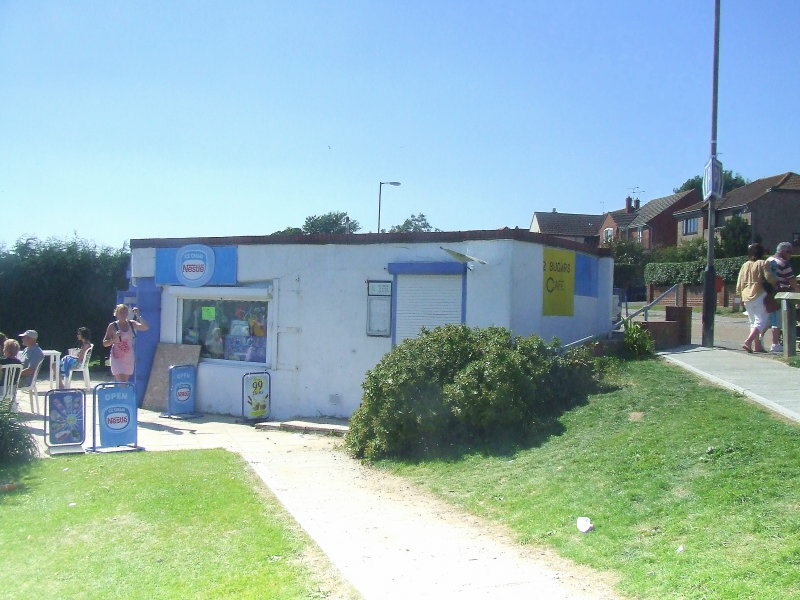 West Mersea,The "Two sugars" cafe. Formerly,a WW2 heavy gun emplacement.Just to the left of the lamppost,central to the roof of the building,can be seen the spigot upon which the gun assembly would have sat.It never fired a shot in anger.On the only occasion the gun was actually fired,just to prove it was real,the whole village turned out to witness it. In 2008 whilst sitting outside of Harlech Castle,in Snowdonia,I chatted to a man from West Mersea.I said,"Ah! yes,I know it well".He said,"Of course you do! ",so I asked him when he visited the shore,did he buy his ices and coffees from the single or the double sugar lumps? "He quickly apologised,saying "You do know it,then! ".